HomeTesla Motors (TSLA): Speed Bump? Tesla Motors (TSLA): Speed Bump? 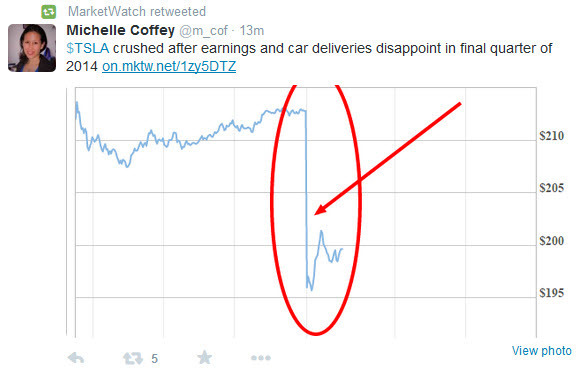 Some people think Tesla Motors (TSLA) got “crushed” on a weak earnings report. From a short term/trading perspective that first chart is a whack. But on this chart, it’s a speed bump. This is what a crushing looks like. I have no idea what the future holds for Tesla, I expect it to be “consumed” by one of the large car companies, but who knows?